Do you need to make some big purchases in the next few months? Maybe you’re moving into a new home and need major appliances. Or maybe you have some unexpected medical bills. You think you would like to open a new credit card that has a long 0% interest introductory period. But which one might make the most sense? It would be okay to apply for a new credit card so long as you use it only for those major purchases or on unexpected medical bills. What’s not okay is to start relying on that 0% interest card for everyday purchases. This is where many people get into trouble with debt. It’s also not okay to still be carrying a balance when your introductory period ends. This is because if you haven’t paid off your balance, you could see your interest rate skyrocket to 20%, 20% or even higher. Once you’ve made those major purchases or paid off those medical bills, you need to check your balance and then divide it by the number of months of your introductory period. For example, if you’ve charge $2,000 and have a 15-month introductory period, you need to pay at least $133 a month to make sure you clear your balance before those 15 months are over. And, of course, you wouldn’t want to charge anything else to that card until you have your balance completely paid off. As of this writing there were three no-interest cards that would be great for making big purchases. Do keep in mind that while all three come with 0% interest on purchases and balance transfers, there could be a fee associated with balance transfers. 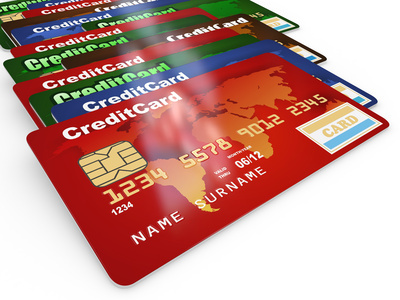 This means that transferring a balance from another card or cards to one of these cards could cost you money. If you’re looking for a card with a long 0% interest introductory period, this one could be a good choice. You would get a 0% interest introductory APR on your balance transfers and purchases untilß February 2014. After that, your APR would go to something between 12.9% and 20.9%. The card requires no annual fee and has 1% cash back on all your purchases. It also gives you a 50% cash back bonus a the end of the year on all the cash back you earned. This is a great no-interest credit card as it comes with a lot of other benefits in addition to a 0% introductory APR. You would get 0% interest on both purchases and balance transfers for 14 months. Once your introductory period ends, your variable APR would be between 10.99% and 20.99% – depending on how creditworthy you are. The Discover It Card requires no annual fee, has no over-limit fee and no fee when you pay by phone. Plus, your APR will not be increased if you make a late payment after your 0% interest period ends. The Discover It Card has 5% cash back on rotating categories throughout the year. All other purchases qualify for 1% cash back. This card would give you 0% interest on purchases and balance transfers for an amazing 18 months. It has no late fees, no annual fee and no penalty rate increases. While it doesn’t offer any kind of a rewards program, it does have the longest 0% interest rate introductory period currently available.